The United Nations-backed forum on the crisis in the Lake Chad Basin region has commenced, in Maiduguri, the capital of Borno State. The conference is the first forum of governors from the Lake Chad region of Nigeria, Cameroon, Chad and Niger to discuss stability in the region troubled by nearly nine years of Boko Haram insurgency. Lead moderator of the conference, Amb. Mamman Nuhu, Executive Secretary of the Lake Chad Commission said in its introductory remark. “It is to develop strategies of resolving the conflict in the Lake Chad,” he said. He said the two days forum holding at the Maiduguri Government House was the first regional cooperation by the governors of the states around the Lake Chad Basin region, adding that it would focus on pathways to stability and reintegration. Host governor, Kashim Shettima of Borno State urged the member States not to forget that the crisis has caused trans-border displacement and instability of the communities in the Lake Chad region. UN Humanitarian Coordinator and United Nations Development Programme (UNDP) Resident Representatives in Nigeria, Edward Kallon said the forum should aim at finding pathway to resolving the crisis. 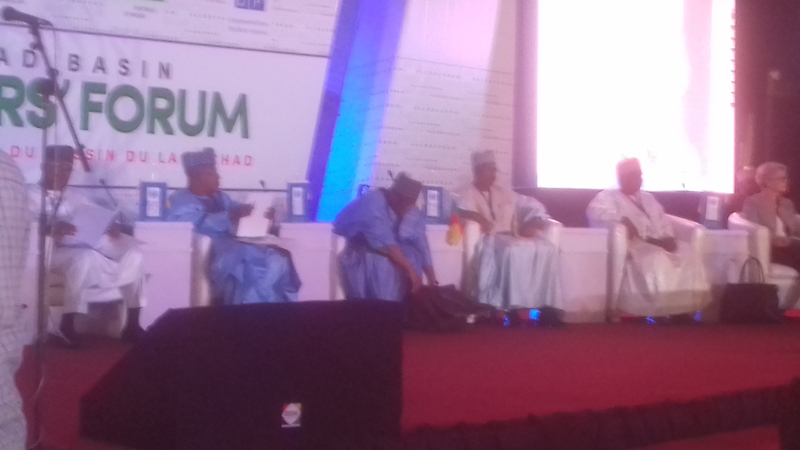 Governor of Adamawa State, Sen. Jubrilla Bindow, his counterparts from northern states of Cameroon, Chad and Niger are attending the conference. Others include UN envoys in Africa, deputy Managing Director Africa, European External Action Service, European Union, Birgitte Markussen, Amb. Georg Schmidt, Africa Director of the German Foreign Office among others.